A Hundred Indecisions is a film by choreographer Doug Elkins, produced by Dance for Film on Location at Montclair State University, with support from The Andrew W. Mellon Foundation Choreographers on Campus Initiative. Inspired by Gabriel García Márquez’s novel “Love in the Time of Cholera,” “O, round desire,” suggests the fluidity of an open heart both in friendship and in romance. Doug Elkins is a two-time New York Dance and Performance (Bessie) Award-winning choreographer and 2012 John Simon Guggenheim Memorial Foundation Creative Arts Fellow. He began his dance career as a B-Boy, touring the world with break dance groups before becoming a fixture on the post-modern downtown dance scene with his own company. He frequently works in theater and as a university instructor. doug elkins choreography, etc. was established in summer 2009 as a way to brand independent dance, theater, and teaching projects for Doug Elkins. The umbrella has allowed for the creation of award-winning works including Fräulein Maria (co-directed by Barbara Karger and Michael Preston, a loving deconstruction of The Sound of Music; Mo(or)town/Redux, a movement conversation with Shakespeare’s Othello and Jose Limon’s seminal The Moor’s Pavane set to a Motown-inspired score commissioned by DANCEworks Santa Barbara; and Hapless Bizarre, a 2013 National Dance Project selection. The original Doug Elkins Dance Company was founded in 1988 and debuted at Dance Theater Workshop’s 11 O’Clock News series. 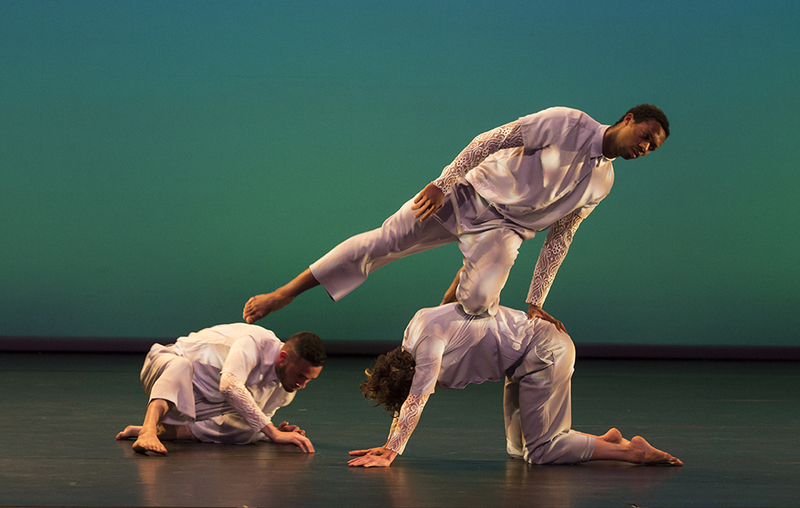 The company disbanded following 15 years of national and international touring including multiple critically-acclaimed New York seasons at The Joyce Theater, The New Victory, 92nd Street Y Harkness Center for Dance, and DTW.